My 2 year old German Sheperd loves it. Service was prompt and very professional. I'm back. 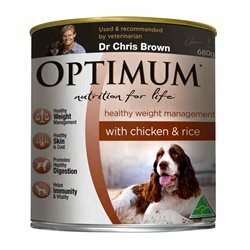 Both my dogs love this food.I add it to their dry food to hide medication in and they just love it. As soon as the can is opened they both get excited. I love the fact that it is healthy and grain free too.